On August 13, 1961, the German Democratic Republic (East Germany) began construction of the Berlin Wall. The Berlin Wall, constructed in 1961, was the border between West Berlin and East Berlin, a single city in Germany separated by different political cultures. West Berlin was affiliated with democratic West Germany, although the city was actually divided into French, British, and American sectors. East Berlin was controlled by the Soviet Union. On August 13, 1961, the German Democratic Republic (East Germany) began construction of the Berlin Wall. The barrier was erected to stop a flow of emigrants fleeing the Soviet-held quarter of the city, and quickly became a stark symbol of the Cold War. After World War II, the city of Berlin was occupied by the victorious Allies. The Soviets administered the largest quarter, “East Berlin,” while the French, British, and American quarters made up “West Berlin.” The Berlin Wall stretched about 155 kilometers (96 miles) and consisted of tall concrete barriers (the wall itself), barbed wire fencing, anti-vehicle trenches, and watch towers staffed with armed guards. 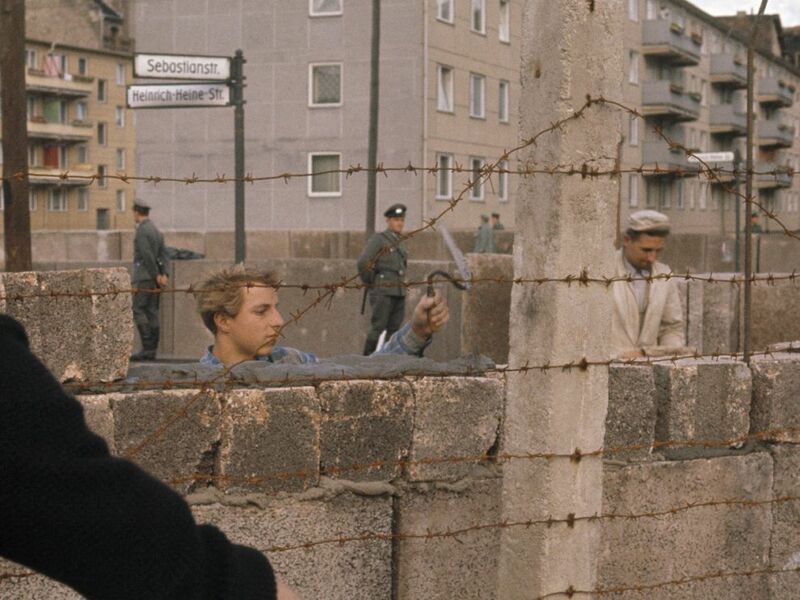 More than 100 people died trying to breach the wall, which fell after a popular East German uprising (the “Peaceful Revolution”) in 1989.
obstacle or object that prevents movement.